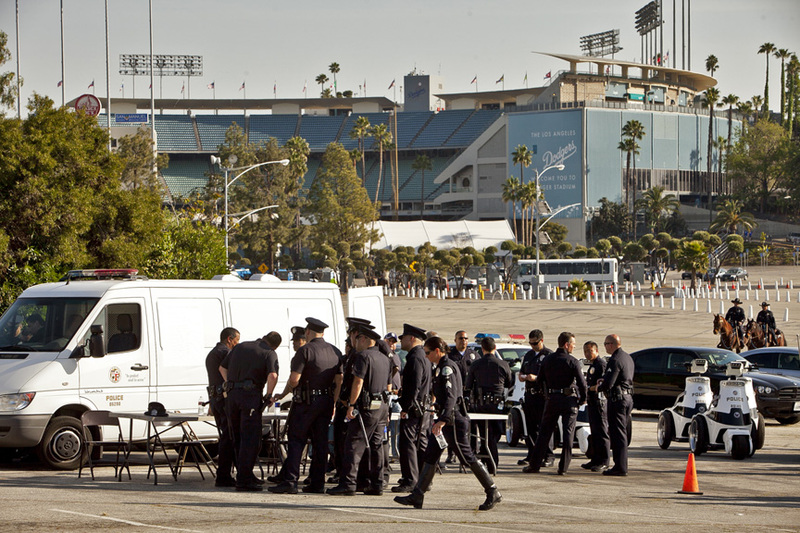 LAPD and Dodger officials enact new hi-profile security measures at the stadium in the wake of the beating of Brian Stow, a Giants fan. 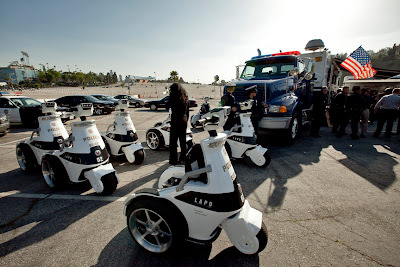 Hundreds of LAPD officers are now stationed at the stadium during home games on foot, horseback, motorcycles, bicycles, and various other vehicles. 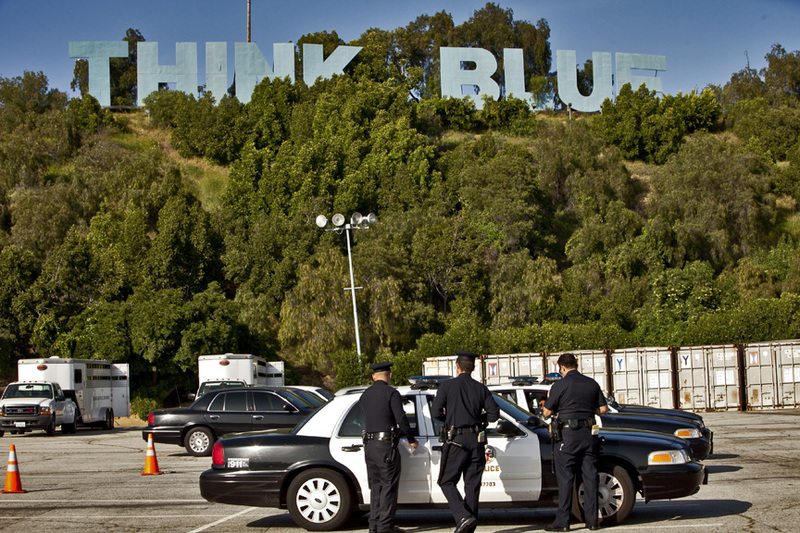 New temporary lighting will be employed at the stadiums parking lots during night games. License plate readers will also be installed at the entrances of the parking lots. Former LAPD Chief William Bratton, now Chairman of Kroll a private security firm located in New York, was hired by the Dodgers to help employ new and better security at the stadium. 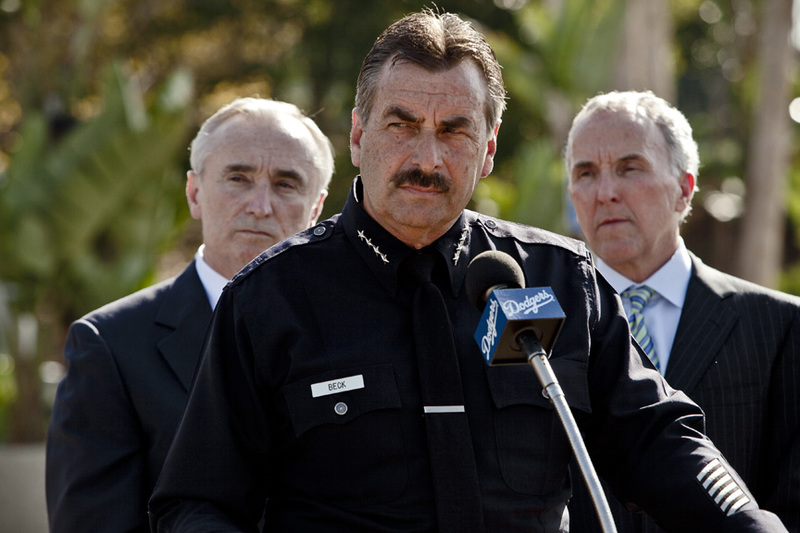 LAPD Chief Beck, William Bratton of Kroll, and Frank McCourt. 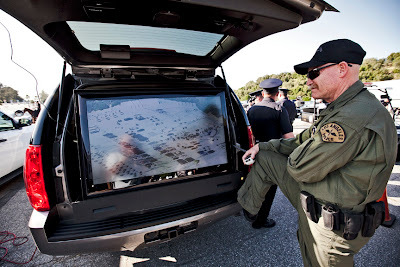 Aerial monitoring of the parking lots. 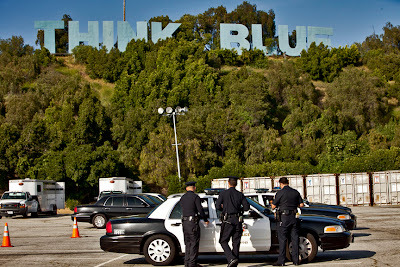 Think Blue, and thin blue line. LAPD prepping for the game.